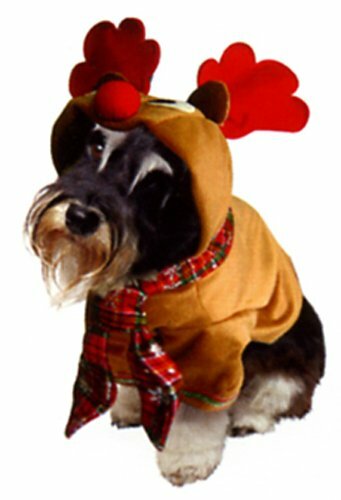 A super cute handmade Christmas jumper for your dog with a squeaky-nosed, jingle bell antlered Rudolph. 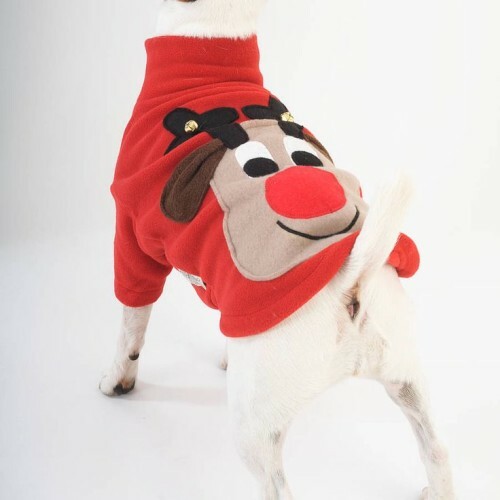 These snazzy little dog jackets have sleeves for your dog’s front legs to give that Christmas jumper look and to keep him or her snug and warm on those winter walks and Christmas day constitutional. 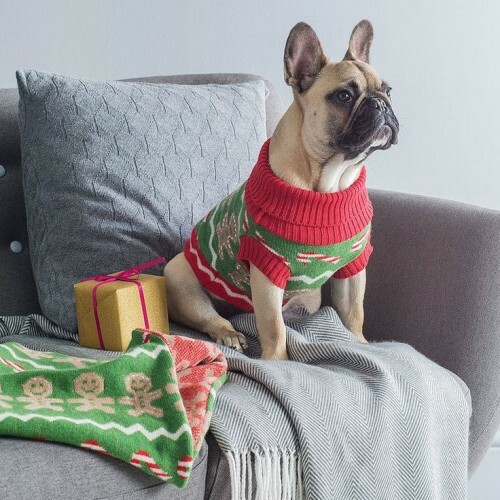 A fairy tale inspired matching gift set that includes a doggie jumper and infinity scarf. 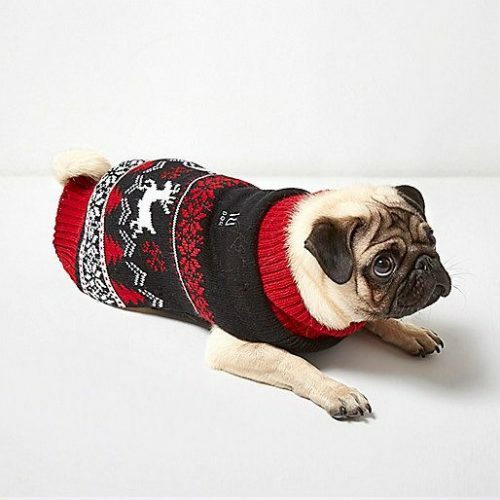 Knitted in 100% Lambswool which has been softly felted and trimmed with 50% wool 50% acrylic. All jumpers are made to order and during busy periods, this process can take up to two weeks for completion.